Hubert is a PhD candidate at the University of Queensland in Brisbane, Australia. He has a passion for the mammals of the African savanna, and is particularly interested in the way modern society interacts with the natural environment. Growing up in the bustling metropolis of Hong Kong, his experiences have made him very aware of the impacts and changes that mankind has made on the environment. Hubert's doctoral research involves an investigation into the demand for rhino horn in China for use in traditional Chinese medicine in order to better inform conservation decision-making. Rhino poaching has increased sharply over the past decade and poses a serious threat to these species, making it imperative to gain an understanding of the factors driving demand in Asia. 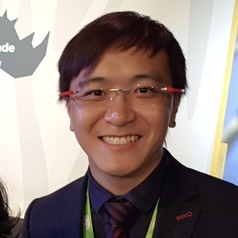 Prior to his doctoral studies, Hubert worked at the World Green Organisation, an environmental NGO in Hong Kong, where he oversaw the operational aspects of a business engagement program aimed at promoting corporate sustainability in the private sector. He completed a master’s degree in ecological consultancy at Newcastle University in England, where he investigated the minimum critical specifications for species conservation planning. As part of his undergraduate studies in zoology at the University of Guelph, Hubert conducted a cost-benefit analysis of tourism in Kenya’s protected areas. Animals and conservation aside, Hubert has a great love of soccer.